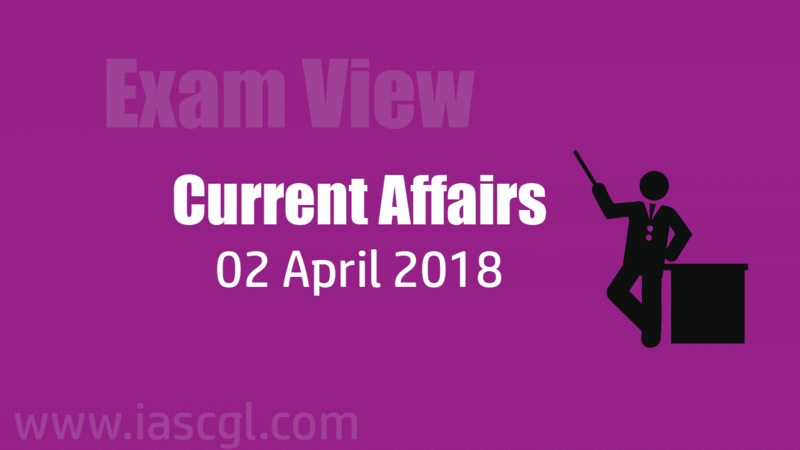 Current Affair of 02 April 2018, Exam View. All set for the implementation of E-waybill system from April 1 in Andhra Pradesh and other States in the country. The E-way bill is for movement of goods which can be generated on the e-Way Bill Portal, maintained by the Union government. As part of the nation-wide implementation of uniform Goods and Services Tax (GST), the e-way bill system is also introduced by the Central government. When an E-way bill is generated, a unique E-way bill number (EBN) is allotted and is available to the supplier, recipient and the transporter. Public sector lender Allahabad BankBSE -1.33 % has reduced the base rate and benchmark prime lending rate (BPLR) by 45 basis points each, a move that will lower EMIs for its borrowers. The Asset Liability Management Committee (ALCO) of the bank has decided to reduce base rate and BPLR (benchmark prime lending rate) by 45 basis points. Allahabad Bank has slashed base rate to 9.15 per cent from 9.60 per cent. BPLR has been brought down to 13.40 per cent from 13.85 per cent. Indian women's cricket team captain Mithali Raj was adjudged 'Sportsperson of the Year' while ace shuttlers Kidambi Srikanth and P V Sindhu bagged the best senior male and female athletes at the Telangana Sports Journalists Association annual awards for 2017 here today. The 2,000 kg-plus GSAT-6A was launched on the indigenous GSLV rocket on March 29 from the Satish Dhawan Space Centre in Sriharikota. It was placed in an initial elliptical orbit 169.4 km x 36,692 km. ISRO has lost contact with the GSAT-6A, India’s most powerful communication satellite, in less than 48 hours after it was launched. It was circling the Earth almost every 13 hours. One of its biggest losses in communication fleet was the INSAT-2D, which died in its orbit in October 1997, just four months into work. A Chinese space station roughly the size of a school bus has crashed to Earth over the South Pacific, and "mostly burned up on re-entry. The "Heavenly Palace", also known as Tiangong-1, began its descent around 10:15am. The Tiangong-1 was launched in 2011 to carry out docking and orbit experiments as part of China's ambitious space programme, which aims to place a permanent station in orbit by 2023.